In a few words, Dianna’s practical ideas are immediately usable. Her track record and solid research lend credibility to the insights, techniques, and tips. Her interactive delivery engages the audience. Communicating strategically or still “putting out fires”? Need to increase your influence so you can move people to action? Are your sales proposals persuasive or merely informative? Do your emails get action—or merely dump information? Do your sales professionals win business—or just ramble—in front of C-suite decision makers? Do your meetings solve problems—or merely waste time? Would you like to increase the impact of customer communication? Would you like to get more mindshare for your social media? Could your career or brand stand a boost? If you don’t like your answers to the above questions, Dianna can help. Clients come to Dianna when they need expert help. Often, their sales teams lose sales when they walk into the client’s C-suite without the executive presence to establish rapport. Or they get “lost in the weeds” in responding to tough questions. They lose credibility—and the contract. In these and almost all situations, Dianna changes the outcome and gets proven results. 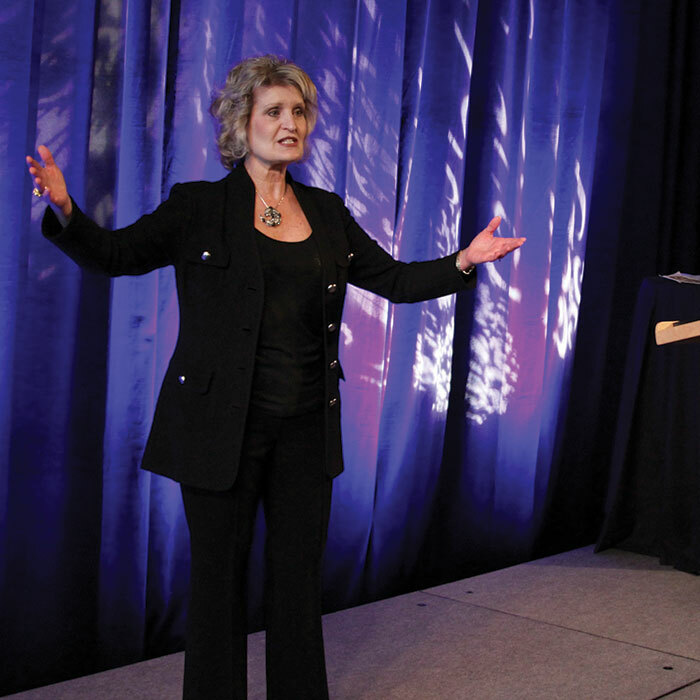 Dianna develops customized keynotes that deliver maximum impact for each audience. By taking the time to understand the real problems her clients are facing, Dianna draws on her decades of experience as one of America’s foremost communication experts. She creates custom programs from her wealth of research and expertise to deliver real results. Dianna speaks to audiences when millions (and occasionally, billions) are at stake. She knows it is imperative that teams buy into new ideas and, most importantly, walk away with actionable steps to implement immediately. That is why Dianna’s programs are highly dynamic and interactive. 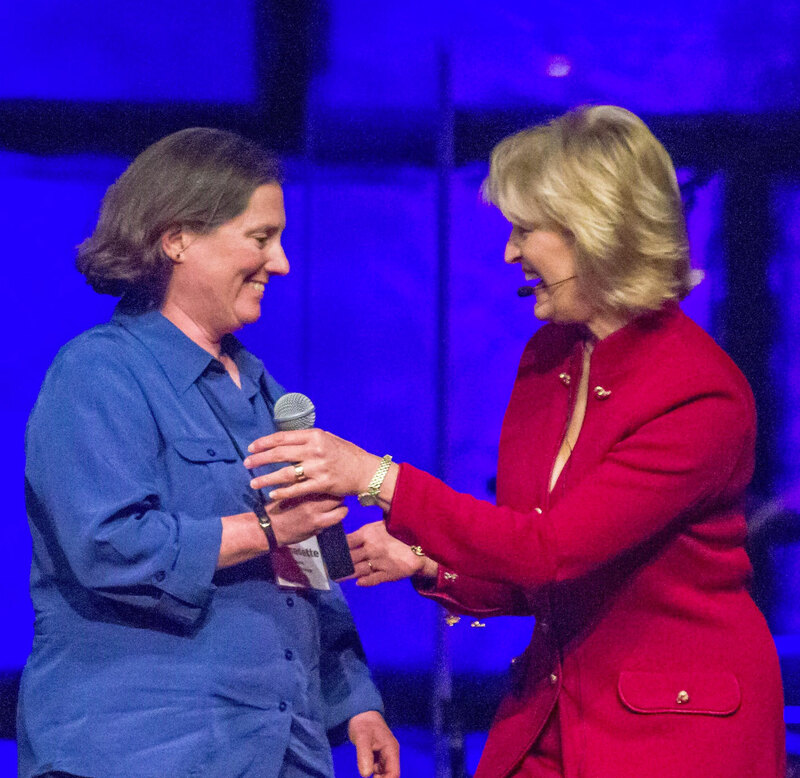 She engages with the audience—not as impersonal lecturer—but as a caring colleague. She delivers relevant, practical solutions that get straight to the heart of an organization’s issues. Communicate Like a Leader: How to Say the Right Thing, at the Right Time, in the Right Way! Identify principles that set you apart as a powerfully persuasive, productive, and clear communicator. Learn to add "the finishing touches and polish" and avoid the common mistakes that keep professionals from communicating credibly, confidently, and persuasively. Have you been promising to write a bestselling book “someday”? Well, this is your opportunity to turn your writing from bland to bold. Clear communication sharpens focus and drives action. Is your team struggling with the following challenges? Are there “bottlenecks” in your organization that block information flow? Do some managers avoid having the tough conversations with poor performers? Do your leaders have a clear sense of timing—what to communicate when and how? Is email zapping your productivity and creating stress because of an overflowing inbox? Are managers micromanaging rather than delegating appropriately and clearly? 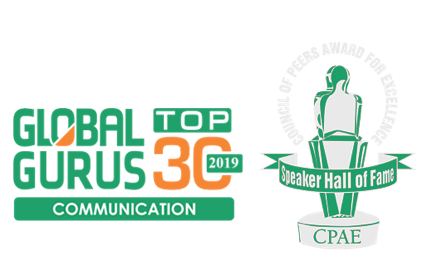 In this session with Dianna Booher, CPAE Hall of Fame Speaker and bestselling author of 48 books (published with Penguin Random House, Simon and Schuster, and HarperCollins), you’ll identify principles that set you apart as a powerfully persuasive, productive, and clear communicator. Learn to add "the finishing touches and polish"
and avoid the common mistakes that keep professionals from communicating credibly, confidently, and persuasively. How credible are your people when they walk into the C-suite with executive decision makers? 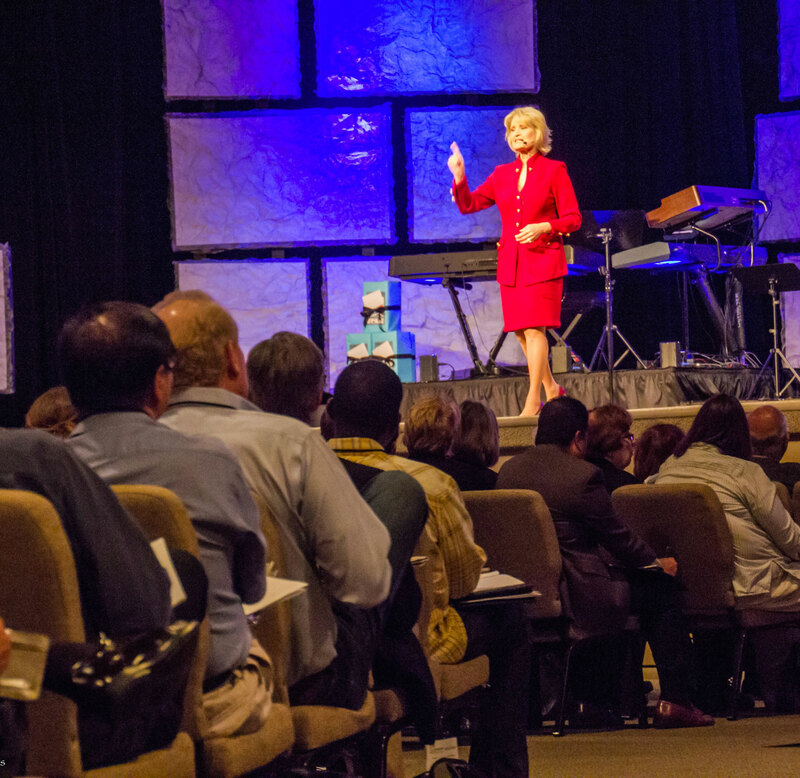 Can your people think on their feet under pressure to respond to challenging questions? Does your team tend to “get down in the weeds” when making presentations? Do your people lack “the finishing touches” to interact with confidence with executive clients? Are your technical professionals putting people to sleep with boring presentations? Is the messaging all wrong for your audience? Should your senior leaders learn to TELL stories rather than narrate them? In this interactive program, participants learn how to avoid the 8 most common mistakes that keep professionals from communicating clearly and persuasively—and how to correct them. They’ll identify concrete characteristics that set leaders apart as influencers among executive groups. 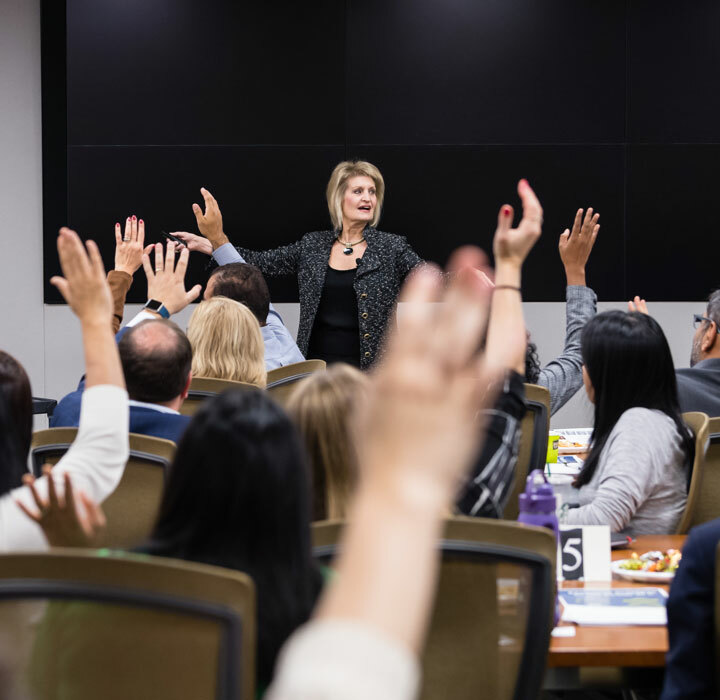 Drawing concepts from her consulting practice, research, and bestselling books, Dianna will help participants gain visibility as clear thinkers and credible spokespeople in their organizations or industry. And the executive team can benefit from solid decisions based on clearly articulated ideas and business cases. Think on their feet in high-pressure situations, using the LEAD Format. Respond to tough questions with credibility and confidence. Structure a message that meets the needs of executives. Engage audiences with a dynamic delivery style that supports rather than sabotages their message. to turn your writing from bland to bold. What’s holding you back from becoming a published author? Below are some of the most common hurdles entrepreneurial authors must overcome. Busy professionals often think it’ll take months or years to write a nonfiction book—instead of a few days or weeks. First-time authors hear tales that it’s “impossible” to find an agent and sell their book to a major publisher so they never try. Even seasoned, multi-published authors often don’t have a repeatable process for writing quickly. Authors who’ve self-published often find that they can’t sell their books beyond their circle of family and friends and need help with marketing. Entrepreneurs and corporate executives are always looking for a fresh way to distinguish themselves and get their message out about their brand, product, or service. Credibility, prestige, leads, new business, money, name recognition, branding—all are reasonable to expect as a result of publishing your book with a major publisher. Have you been promising to write a bestselling book “someday”? Well, this is your opportunity to turn your writing from bland to bold! Now that technology has made writing books, ebooks, white papers, and articles so easy, publishing has become the new pastime for everyone from soccer moms to systems analysts. So what’s the next step to distinguish yourself in the field? Selling your book to a MAJOR publisher!